RKFL has state-of-the-art Mitsubishi Gear hobbing machine for hobbing gears as per customer's requirement of Helix Angle. All gears and shafts which are hobbed according to the defined accuracy. In a challenging business climate, recognizing and acting on every possible synergy will prove to strengthen RKFL's position in the global automotive industry. Diff Case, Knuckle and I Beam are key components in creating a lasting impact on this plant's ability to compete in an increasingly difficult market. 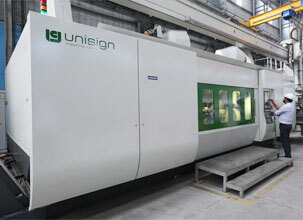 It features an unique state of art .The new operational line also complements the plant's just-in time manufacturing practices. The flexibility that the system supplies is not just on the one line, but lines can be switched quickly too. In diff case and front axle line probing system is a unique feature which helps to determine the center accuracy. 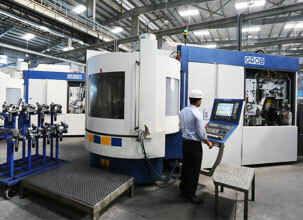 All machineries are CNC controlled in order to modify the programs which defines the various machining operations as desired by our clientele.